Should you go for Delta Gold Medallion status or stop short and stick with Silver Medallion? Gold status with Delta is a good middle level status and not just with Delta as we will touch on in a bit. Once you do hit Gold, Delta has noticed you. They like you. They want to give you perks and recognition. Ideally Delta would love to move you even higher up the elite chain and, unlike the leap from Platinum up to Diamond, it is not “that” far so let’s see if it is worth it. It may seem strange starting with a Skyteam perk first, but if you travel internationally being an “elite plus” really matters. You can get so many additional perks. From bags to better seats to lounge access (departure or connecting even when on a coach class ticket), these perks matter. You can even reach out for preferred seats and such on many partners as Gold for free. Plus with partners, Gold is only one step blow the TOP elite of Platinum so you are still looked at as very valuable. Even though with Delta you are “bottom middle elite” they do still treat you like a “real” medallion, if you will. At Gold you are noticed by Delta. Next big perk, under the current rules, at the 3 day before trip mark you can have free access to open Comfort Plus seats. This is clearly a downgrade over the past domestic rules (at booking) but I am sure most Gold’s have noticed that if you pay attention and work this a bunch of Diamonds and Platinums do upgrade at the 3 and 1 day mark and there is a good shot to grab the best C+ seats on the jet. C+, while not a better “seat” than the rest of coach does have some extra space and many extra perks like free drinks and Delta Studio are very nice. If you push to Gold don’t expect to always ride up front (I know, I know, out of ATL on a Monday morning you could be #50 of 120 with 3 seats open). The point is that you will see, overall, a much better upgrade percentage than Silver has been. I talk to Golds who are very pleased with their status level and carefully pick flights, days and fare class to score a bunch of rides up front. Sure many of them are clearing at the gate and part of #TeamBoardLast but also getting those “your medallion upgrade has now been confirmed” will be much more common than when you were Silver. Delta needs to be “nice” to Golds and they are. Your hold times are shorter to contact Delta. Once again, like we discussed with Platinums, all the different “parts” of the Delta machine are just better to you. Where a no status person, when something bad happens, may have to pay for their own hotel room for the night – a Gold could ask for one free and get it. Yeah, stuff like that can be HUGE when it really matters and at Gold you will see a difference and can ask and get things others will not. Well maybe not exactly the same as before and that really is the point of this series of posts. Each elite level has its own perks and drawbacks until you reach Diamond (then we just gripe because we always want more). But if you cannot earn MQMs any other way than the flying you must do for work and a few personal trips then it is a big deal to get to that 25k level each year. Starting the year with even 5k or 10k extra to make Silver again matters to you. Maybe even rolling over 20k so that re-earning Silver is no stress is a big win for you. Something to think about. Then we have MQDs. Yuck. Maybe you cannot, due to personal reasons, hold one of the Delta AMEX credit cards and cannot via spend (real or otherwise) get to $25,000 a year to be MQD exempt. So, you have to spend the “hard way” with Delta and net $3,000 in MQD spend with the airline on top of 25,000 MQMs. In other words you may have little choice but to rollover a bunch of MQMs because there is no way you are going to spend $6,000 in MQD for the year. At least you get to rollover the MQMs unlike other airlines. This is a HUGE perk from Delta. Once again it really is all about your flying patterns. What will you fly next year. If for whatever reason you are just not going to be up in the air that much then Silver is just fine. Seriously! I am almost a 1 million miler and will not stop flying Delta no matter what until I reach that so I can have “gifted” to me by Delta Silver status each year. If I only fly Delta a handful of times a year I will be thrilled with this status and the perks it gives me. And that ties into the next point. You are just happy with Silver. You are getting exit row free. You can score C+ seats and work it so when they free up at the gate with others who upgrade you end up in the perfect seat with free drinks, Delta Studio etc. You get elite phone support and sometimes with the right rep amazing things that you would only expect a Diamond would get. While you don’t get Choice Benefits or all the other wizz-bang stuff the top elites get, you still can work your perks to make the Delta experience one to be enjoyed. That is HUGE! And that ties in again to the last point. SkyMiles member. Shudder. No thanks. Now sure, by getting a Delta AMEX card you can get a bunch of the same perks as Silver but the card on it’s own is NOT the same as Silver Medallion status when you really think about it. Once you have had ANY status with Delta, dropping to everyday flyer is just not a place you want to be. I totally respect anyone who stops at Silver to not drop to no status at all with Delta. Speaking as someone who has been dirt, FO, Gold, and Platinum. The higher you go, the better it is. That said, Gold is light years beyond FO if for nothing other than the SDC service charge waiver and SkyPriority. I have not flown as much this year, and I am dropping from Platinum. The big question is whether or not I MR to ensure I get Gold. The difference in the two levels has me thinking about it. GM is on a completely different level than FO. If you fly Delta even semi-regularly, it is worth going for. I hit status for the first time this year, and spent a few months at FO before making GM. I can tell you from personal experience that FO really isn’t anything, unless you fly secondary non-business routes a lot. You won’t get C+ seats very often, you have almost no shot at an upgrade, and the customer support is only a little better than what non-status customers receive. You also don’t get any sort of physical medallion credentials with FO. Seems like a minor detail, but it can be important when flying internationally where carriers want to see a card that isn’t made out of paper. Add in the lack of free SDC and SkyPriority, and you’ll see that FO really is severally lacking compared to GM. If Silver is the only level you can hit, then by all means, some status is better than none. If you can reach for Gold, however, you will not regret it. 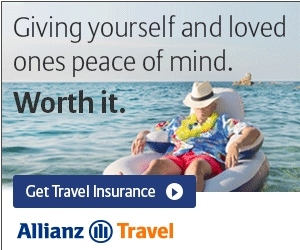 It is totally worth it. @DDiamond – Yes, most times, or from Skybonus. Rene, I think I know the answer but, if a Million Miler has Silver automatically, do they still have to go over 25,000 MQM to have any rollover MQM? @JohnHace – Yep, ONLY the status is gifted so you still have to rack them up if you want rollover. @Rene, thank you! I just tried and wasn’t eligible for that particular promotion. I appreciate your help nonetheless. Think I should still go for the 3 months/3 RT Gold option? I started a job 06/15/15. I travel a good bit for it, and have had amex delta personal platinum card for a few years. As of today, I have already met the MQD for gold for 2016, and only lack 12 MQSs to reach gold. At ~32,000 MQMs (and a reasonable expectation that I will have at least 12 more segments by 12/31/15) I am gathering I should definitely use the rollover feature? @Rob – Again, it depends on next year. Gold is very nice. If you are going to hit Gold with MQSs that will have an impact on the equation. Keep in mind MQDs do not roll over (yeah don’t get me started). I have two trips in the next three weeks which will yield 8 MQS. (I always have to connect in ATL). If it were you in this scenario would you work it so that you hit gold with segments first, just to get the rollover miles for sure? Assume there will be significant business travel in 2016. (Like 4 MQSs/week, and no problem with MQDs). @Rob – Keep in mind that stats based on MQSs does not equate to rollover MQMs. There are distinct qualifiers. Hi Rene, I only reached silver July 2016 and have a shot at gold by Nov 2016. I understand that I will be silver in 2017. Problem is, I don’t think I will travel much in 2017. Should i delay getting to gold in Nov 2016, then claim silver early in 2017 for 2018? The other way to rephrase this question is if someone reaches silver and gold in the same year and they claim gold then they only enjoy it for the next year and may go all the way down to SkyMiles member in 2018 if they don’t keep up with the travels required to maintain gold membership, right? Sorry may be a basic question but am new to this. @Gideon – As I always say, your call. But if limited travel 2017 maybe worth thinking about rollover MQMs and trying via CC or other flying to be Gold for 2018! I am 72 MQM’s short of hitting Gold. Is it worth me doing a day of flying to hit it or should I stay put and roll over for next year. I can book a flight for $252. @Angela – Depends on next years flying. GM is MUCH better especially internationally for club access. Or can you do a few MRs early and with rollover be Gold next year and the year after as well? Thank you, good point! I appreciate it! Rene- As a long-time SM dude who flies almost exclusively Delta every few months for work or personally, I’ve really been appreciating your posts (even from last year!). @rene – in other words, thanks for responding! I appreciate the (tepid) encouragement! Just learned that Delta does not automatically release unbooked seats for upgrades in the 72 hour (Gold) or 24 hour (Silver) window of time. If they think they can sell the seats, then they don’t release them for upgrades until shortly before boarding (if there are open seats left) and then Diamond members tend to get them. Learned this from Delta Customer Service when calling after seeing open seats and wanting to get the upgrade I thought I had earned.